Spider veins, or telangiectasia, are those tiny purple and red blood vessels found most commonly on the thighs or lower legs of women. They are hereditary and can form anywhere on the leg, from the top of the thigh to the ankle. Occasionally, spider veins appear on the face. 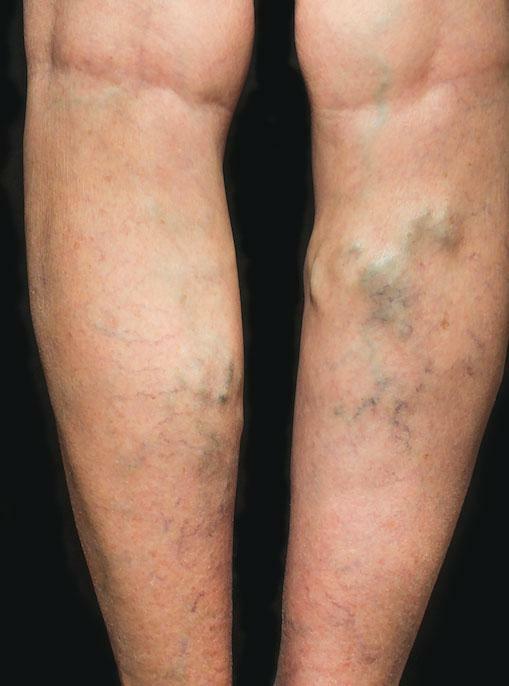 Varicose veins are larger. They can appear raised with a bluish color and can become quite painful. Although spider veins and varicose veins carry blood, they are not part of the venous valve system. Sclerotherapy: The Sclerotherapy treatment was developed in the 1920’s. During the procedure, a sclerosing solution is injected into the vein through a micro-needle.